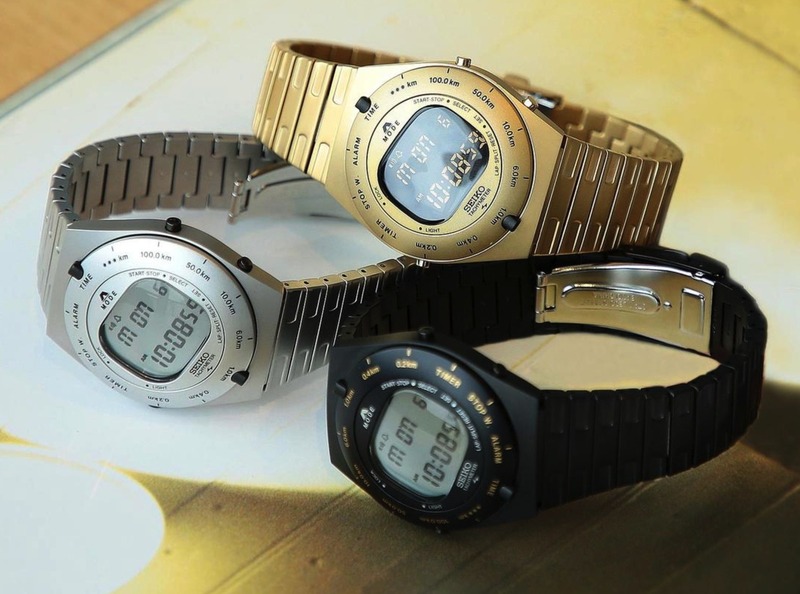 Japanese retailer Beams worked with Seiko to recreate an original 1983 “Speedmaster” timepiece that was designed by Giugiaro Design. This is a quartz powered watch with a digital display that features an alarm, stopwatch, and tachymeter and is housed in a steel case measuring 39.4 mm (44.2 mm height, thickness 12.1 mm). Like the original, there is a rotary switch function, module switching with rotating bezel, and dome type liquid crystal display. The watch is available this month in Japan and will be limited to 3,000 pieces with the serial number and “Limited Edition” engraved on the caseback.